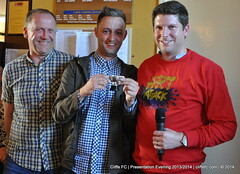 On Saturday 31st May 2014, Cliffe FC held their Presentation Evening at the New Inn, Cliffe. 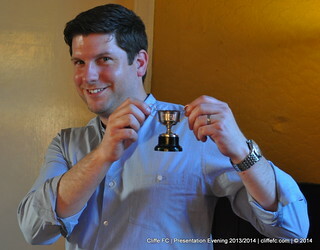 The proceedings were MC’d by both David Hebson and Keith Tiplady once again – they presented various awards with the help from club chairman, Simeon Leach, and many of the players that have featured for Cliffe Football Club this season were in attendance to celebrate the tremendous season for the club which saw a Cup Treble and both teams secure league promotion in runner-ups spot. 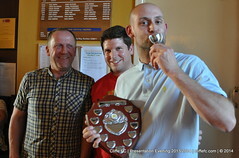 Player of the Year – Andy Addison – Accepted on his behalf by Chris Jackson. 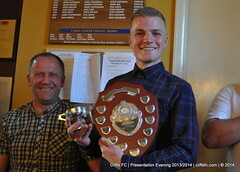 Players’ Player Of The Year – Chris Jackson. 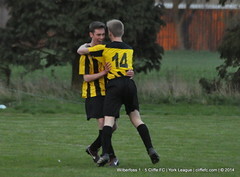 Top Goalscorer – Chris Jackson (38 goals). 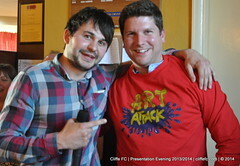 Goal Of The Season – Chris Jackson vs. Thorpe Utd, 8th March 2014. 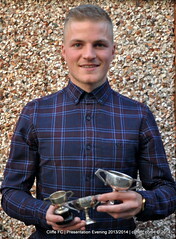 Young Player of the Year – Sean Gallagher. 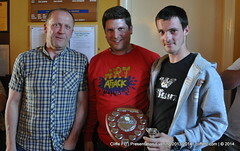 Clubman of the Year – Daniel Jamieson – Accepted on his behalf by David Hebson. 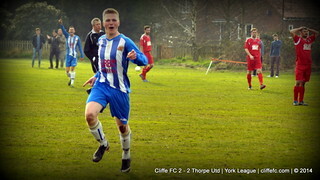 Player Of The Year – Nigel Horner. 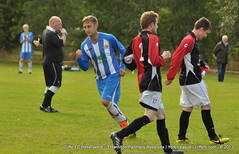 Top Goalscorer – Nigel Horner (9 goals). 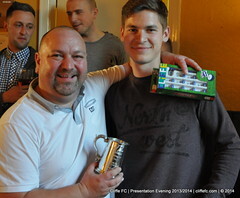 Players’ Player Of The Year – Joe White. 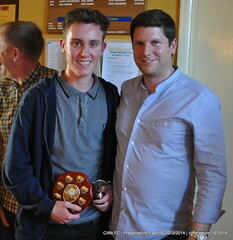 Goal Of The Season – Jay Grundy vs. Wilberfoss Reserves, 11th January 2014. Special mention for managers David Hebson and Keith Tiplady – Hebson being presented a special jumper in reference to his doppelgänger and Tiplady was presented with a brand new tankard with the cup triumphs inscribed as well as a very special edition table-football team set.